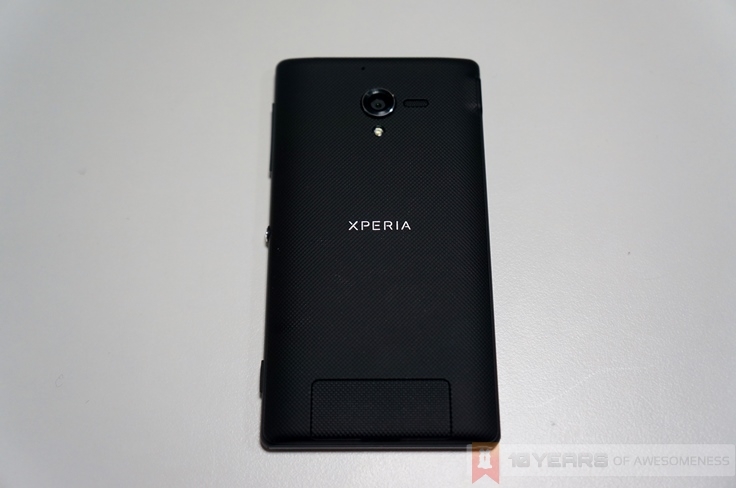 The Sony Xperia ZL and Xperia Z marked the start of a new direction for Sony’s struggling handset division. For too long Sony produced devices that were simply not appealing enough for consumers more interested in the number of cores than well-designed devices. The Xperia Z and ZL finally merges stunning design with cutting-edge hardware, and goes head-on with the best of the Android flagship devices. 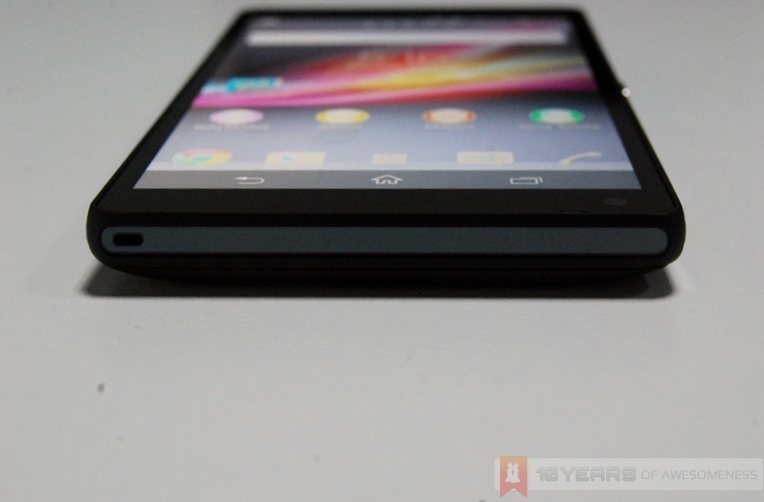 We saw the Xperia Z recently, and came away reasonably impressed. 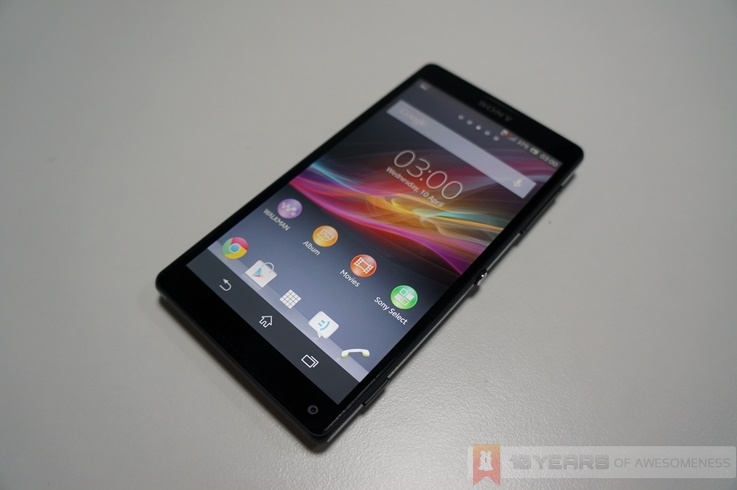 Now, it’s the turn of the Xperia ZL, the more affordable of the two. 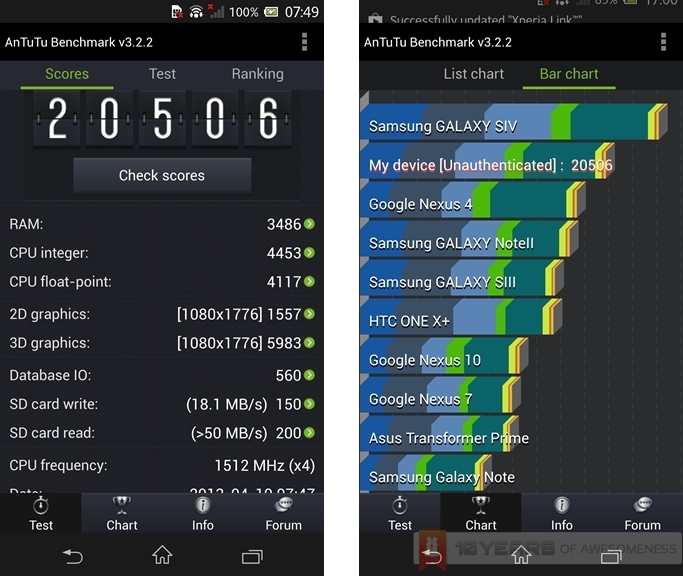 Read on after the jump for a preview of the Xperia ZL. 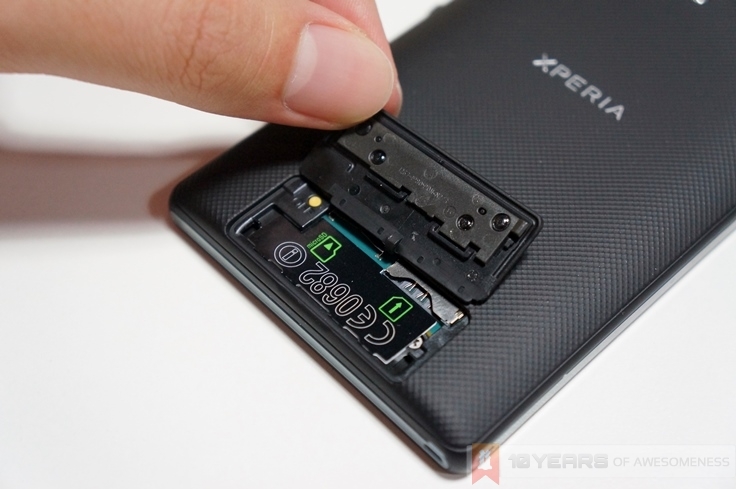 Internally, the Xperia Z and Xperia ZL are virtually the same device. Powered by the same Qualcomm Snapdragon S4 Pro 1.GHz quad-core processor and 2GB of RAM, the Xperia ZL also has the same 16GB of flash storage, and supports up to 64GB microSD cards. In addition, the Xperia ZL also sports the same 5-inch Full HD TFT display, as well as the 13MP Exmor RS for Mobile rear camera and 2MP front-facing module. The biggest difference, however, is on the outside. The Xperia ZL does not have the IP55/57 rating for dust and water resistance that the Xperia Z has. 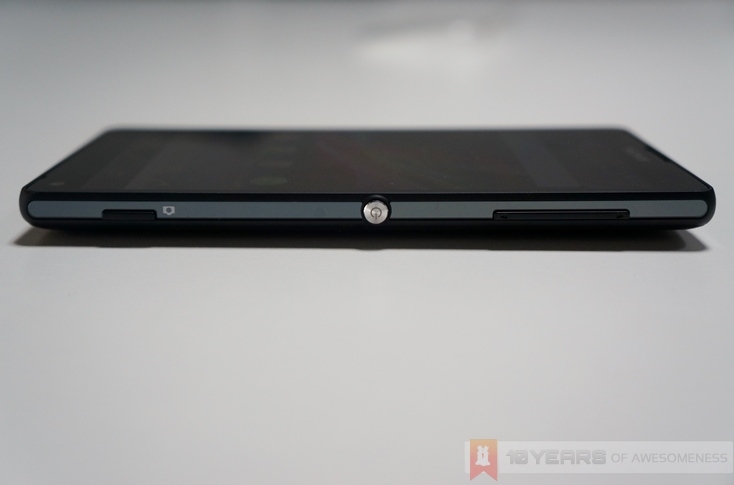 Instead of a glass back, the Xperia ZL sports a matte plastic cover, and plenty of open ports. At the bottom of the back cover is a flap that houses the micro-SIM card and microSD card slots, as well as a handy reset button. Also, the Xperia ZL adds a dedicated camera button which is not found on the Xperia Z. Naturally, given the use of plastic instead of glass, the Xperia ZL immediately feels less premium than the Xperia Z. However, the Xperia ZL has a smaller physical footprint than the Z; at 131.6mm long and 69.3mm wide, it is smaller than the 139mm long and 71mm wide Xperia Z. 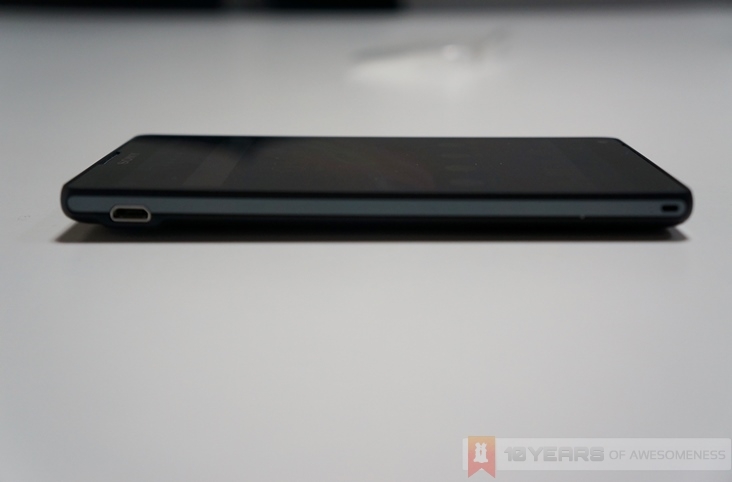 On the other hand, the Xperia Z is marginally thinner at 7.9mm. Navigating around the software, the lightly-skinned UI is a welcome change from other Android devices. However, the software side of things could use with some optimization, because there were some apparent lag that appears even when browsing through the home screens. Nevertheless, we’ll reserve judgment until we spend more time with the Xperia ZL for our full review.